You love to talk about yourself online, don't you? You love to talk about yourself online, don’t you? Some people get put off Twitter because they think it is all about cheese sandwiches. Just one look at Twitter and before long you see someone chatting about the fact they have just eaten a cheese sandwich. Then you’ll spot someone saying they have just arrived in the office before you read the next Tweet announcing that the sun is shining. Whoopee Doo…! Do we care? Do we heck…! Yet, all over Twitter you will find people talking about themselves, often to themselves…! Bragging about your own feelings or actions is commonplace on Twitter and on other social networks like Facebook. After all, on Facebook you can “update your status” to say where you are and what you are doing or how you are feeling.It’s all about you. But is anyone really interested in you? The fact that you find the sunshine comforting or that you simply love the decor in the hotel room you’ve just checked into is, frankly, up to you. I couldn’t give a monkey’s. However, new research shows it is vital that you carry on sending such Tweets or status updates. The study, conducted by neuroscientists at Harvard, reveals that when you Tweet about yourself, stating perhaps that you have just had a cheese sandwich, the parts of your brain that get triggered are the same ones which fire up when you eat or when you receive something good such as extra cash. 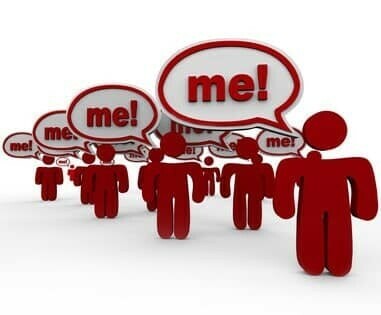 It appears that talking about ourselves gives the brain the same boost as a tangible reward. Talking about yourself makes you feel good. By the way, before I carry on, I just thought I’d let you know that as I am writing this I am drinking some camomile tea. Anyway, as I was saying, making little announcements about yourself does you good. It produces those happy hormones in your bonce and consequently you can cope with the pressures of work more easily. So, far from those cheese sandwich eaters on Twitter appearing to while way the hours just chit-chatting, they may, in fact, be more productive than those people who shun such self-related bragging on social networks. Holding yourself in, not revealing too much about yourself can be problematic as it removes reward from your brain, which does not help it function well. Instead of criticising Twitter as a cheese sandwich announcing system, see it as psychological support which actually makes people feel better about themselves. Three facts that Internet businesses can learn from… The UK is gripped by politics at the moment with local elections across the country and an impending general election. Take note, online businesses...!